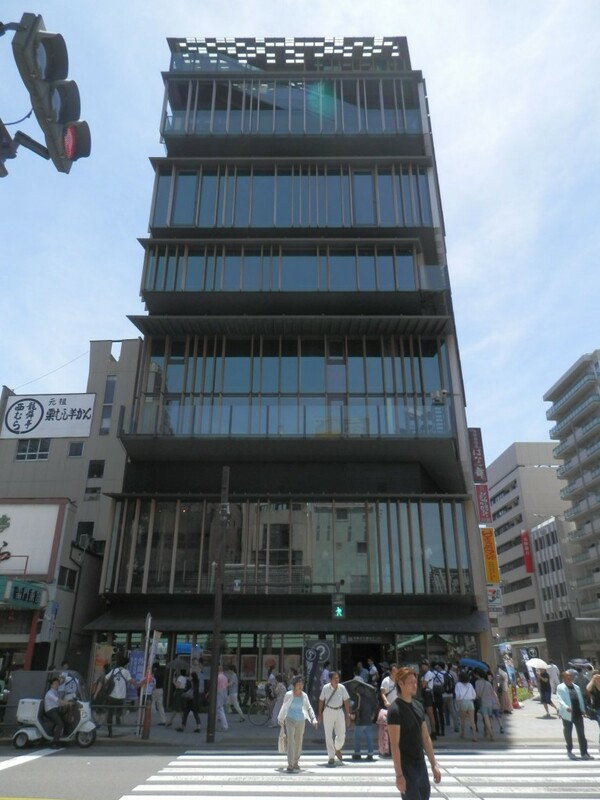 Today, I visited Asakusa Bunka Kanko Center. 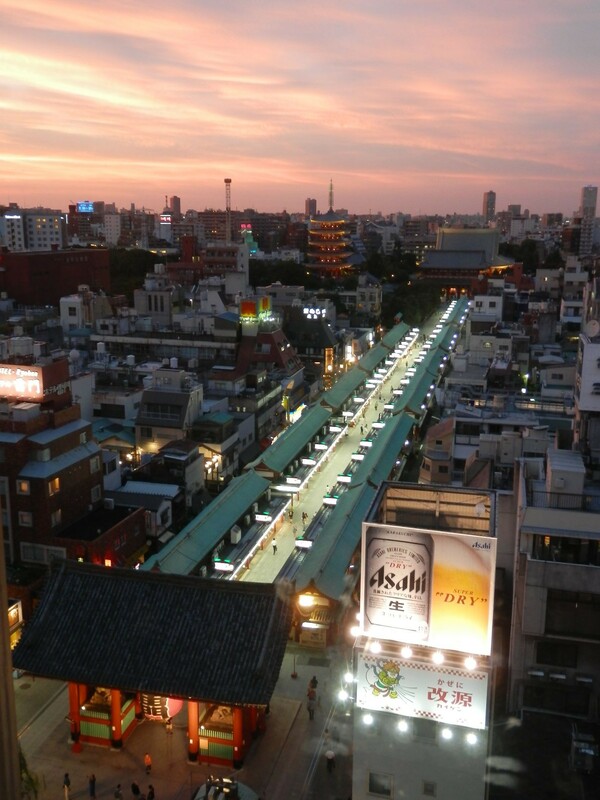 It was located diagonally opposite across the street of Asakusa Kaminarimon. Asakusa Bunka Kanko Center was a tourist information center, where you could get tourist information in 4 languages (Japanese, English, Chinese and Korean). 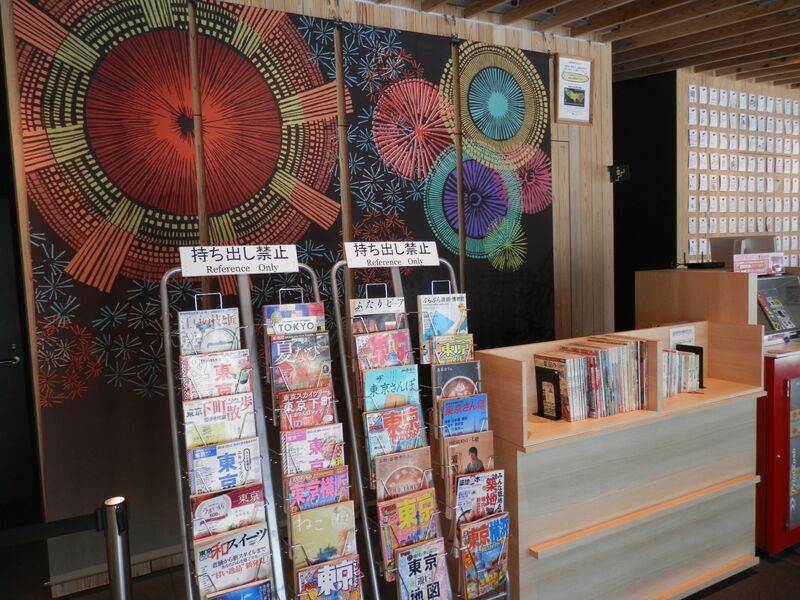 This center might be the best place to visit first for foreign tourists who came to Asakusa. There were an information counter and a foreign exchange place on the 1st floor. PCs, a hot spot Wi-Fi, power sources, tourists information magazines, etc. were on the 2nd floor. And, there was a free observation terrace on 8th floor. Look! 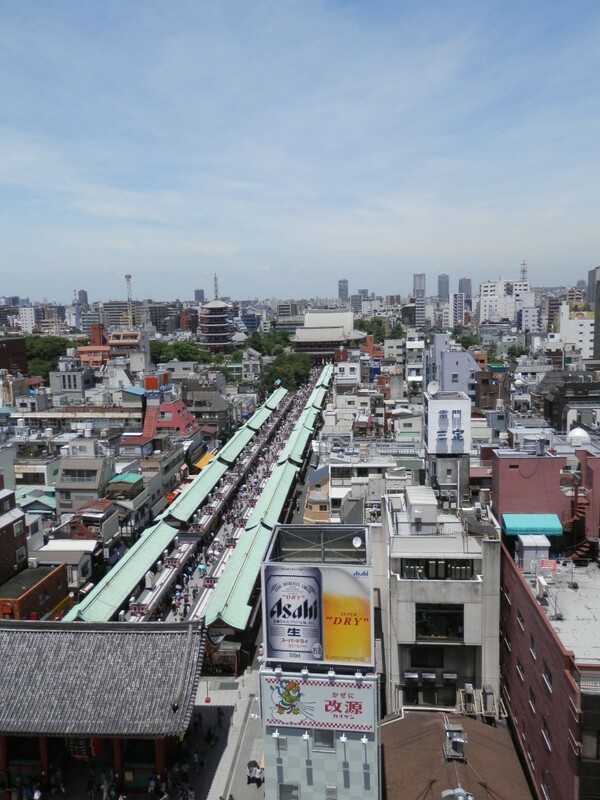 You could have a whole view including Kaminarimon, Nakamise street and Sensouji. It was also beautiful at night. 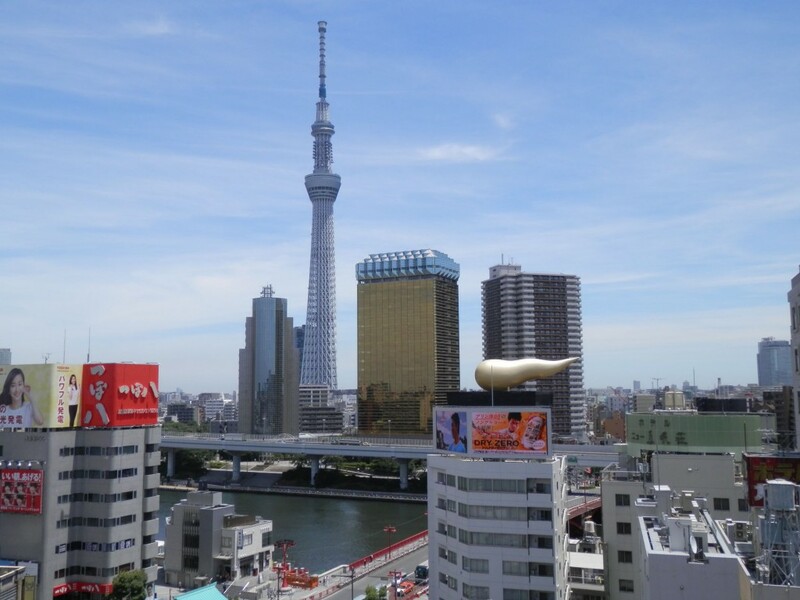 You could also have a view of Sky Tree. 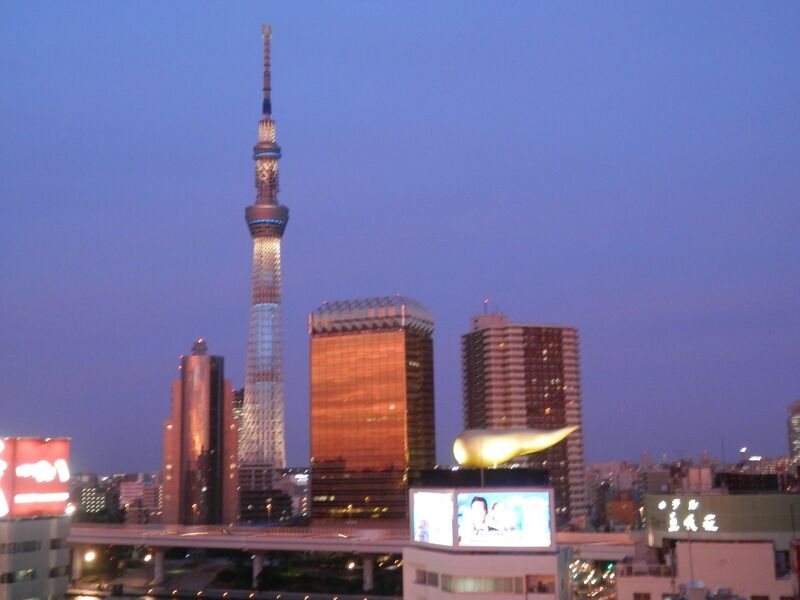 And, light up of Sky Tree. In addition, there was a café on the 8th floor, so you could take a rest with a great view in case you became tired.